Samoan and small island tourism in the South Pacific continues its coming of age. Progress was made in Apia, Samoa last week at the 3rd International United Nations Conference on Small Island Developing States (SIDS). The South Pacific Tourism Organization (SPTO), Sustainable Travel International (STI) and Royal Caribbean Cruise Lines, joined to form the South Pacific Destination Alliance (SPDA) in order to assist small-island developing states with such overwhelming challenges as climate change, protection of natural habitats, biodiversity and cultures. "Ensuring that the destinations our ships visit are protected is important both for the people who live there and for our guests." - Rich Pruitt, vice president, safety and environmental stewardship, Royal Caribbean Cruises Ltd.
"Ensuring that the destinations our ships visit are protected is important both for the people who live there and for our guests," said Rich Pruitt, vice president, safety and environmental stewardship, Royal Caribbean Cruises Ltd. The islands of the South Pacific are particularly vulnerable to the havoc being wrought, for instance, by the rising seas that are the result of climate change. The SPDA hopes to protect the region’s natural and cultural assets while enhancing livelihoods. The presence of Royal Caribbean is very significant as the smaller islands need to manage how they’ll react to the increasing appearance of large cruise ships. About a dozen cruise ships called in Tonga this year including two Cunard ships; the Queen Victoria and the Queen Elizabeth, with the Queen Mary scheduled to call in 2015. The Tongan capital Nuku'alofa is where the ships dock. The entire population of Tonga is about 23,000 people; the Queen Victoria arrived with 1,817 passengers and 984 crew members. The Tongan Ministry of Commerce, Tourism and Labour is delighted to get these visitors, but needs to manage the impact. Samoa, the new alliance's founding destination partner, became the Pacific region's first partner in the Sustainable Destination Leadership Network (SDLN), a global collaboration of destination management organizations and tourism administrations. "This is a natural next step for us to support our goal of becoming a regional leader in sustainable tourism, and we look forward to collaborating with our fellow South Pacific destinations to write a new chapter for the region focused on long-term health and viability,” said Sonja Hunter, CEO of Samoa Tourism Authority. “This Alliance will help boost SPTO's initiatives, in the areas of destination marketing, tourism product development, best practices in sustainable tourism development, and capacity building for governments and the private sector," said SPTO CEO Ilisoni Vuidreketi. The SPTO is comprised of American Samoa, the Cook Islands, the Federated States of Micronesia, Fiji, Kiribati, the Marshall Islands, Nauru, New Caledonia, Niue, Palau, Papua New Guinea, Samoa, the Solomon Islands, Tahiti, Timor Leste, Tonga, Tuvalu and Vanuatu. The SPDA hopes to include more than 10 destinations between now and 2017. The SPDA is modeled after the Sustainable Destinations Alliance for the Americas, an alliance of public and private entities launched earlier this year to focus on destination sustainability in the Caribbean and adjacent Latin American countries. Initially, the SPDA will support up to seven Pacific destinations in their sustainability efforts, utilizing STl's Sustainable Destination Toolkit. Each participating destination will begin with a comprehensive evaluation of its management practices, designed to recognize areas of strength and to identify areas in which they have the greatest opportunity to improve. An action agenda will then be developed to establish practical quick-win projects that will address the most pressing needs. SPDA destinations also will commit to utilizing a destination monitoring system, which will support their tracking of key performance metrics and indicators and inform decision-making. Results, stories and lessons learned will be disseminated among all partners, and leveraged by destinations across the region to increase competitiveness and to foster greater understanding among destination decision-makers. 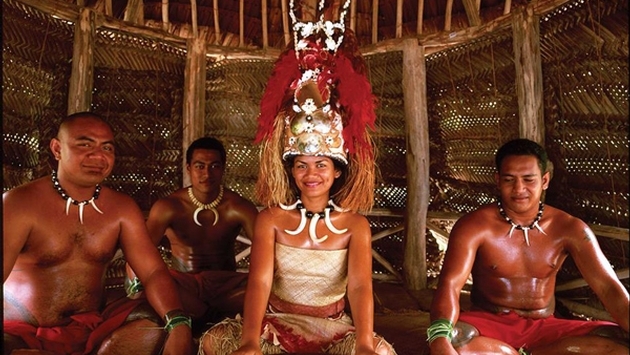 More and more, the South Pacific is taking a more coordinated approach to tourism. In May, for instance, Solomon Islands hoteliers established a formal representative body for their businesses with encouragement from the Solomon Islands Visitors Bureau (SIVB). It’s probably significant that Josefa Tuamoto, an experienced professional from his days with the Fijian Tourism is now the SIVB CEO. Today Fiji, Samoa and Vanuatu have hotel associations.